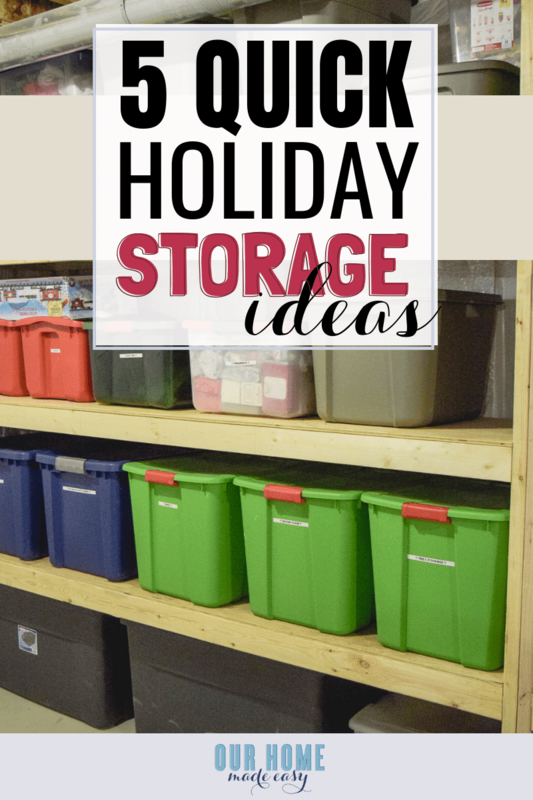 Make storage easier after Christmas with these holiday storage organization tips! They are easy to do and also include free storage labels to get you started! 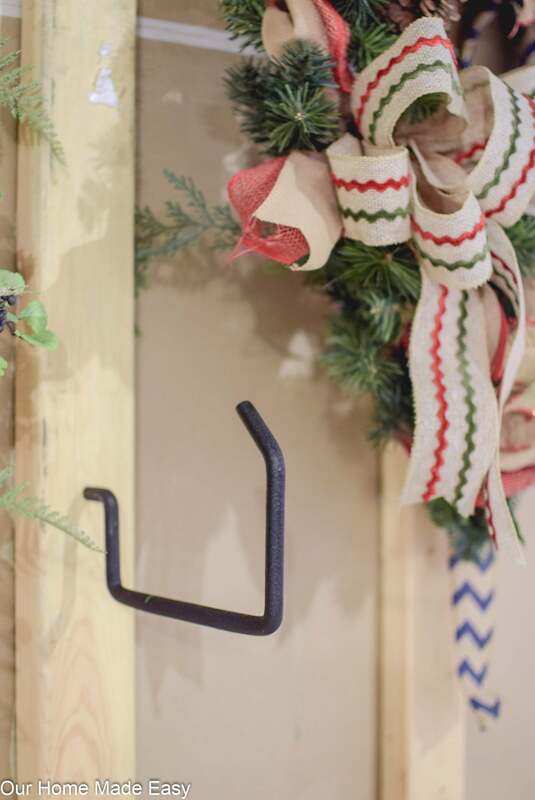 Storing holiday decor can quickly become overwhelming. 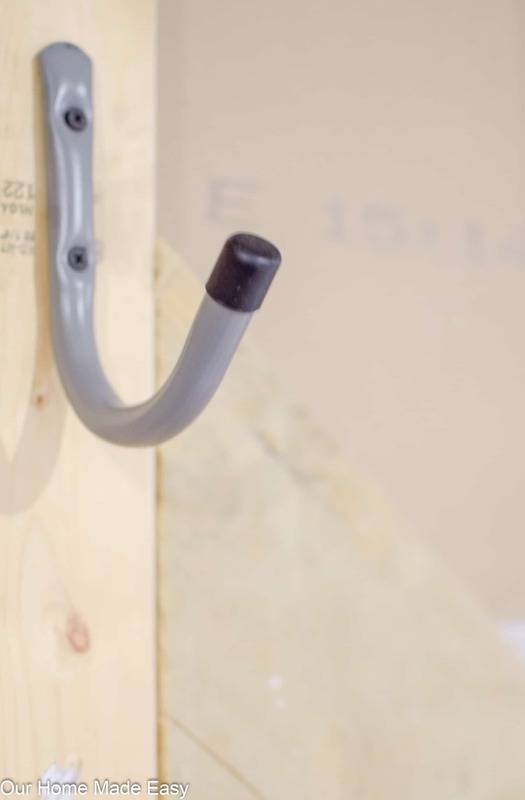 Use a simple system to keep your decor under control in virtually no time! 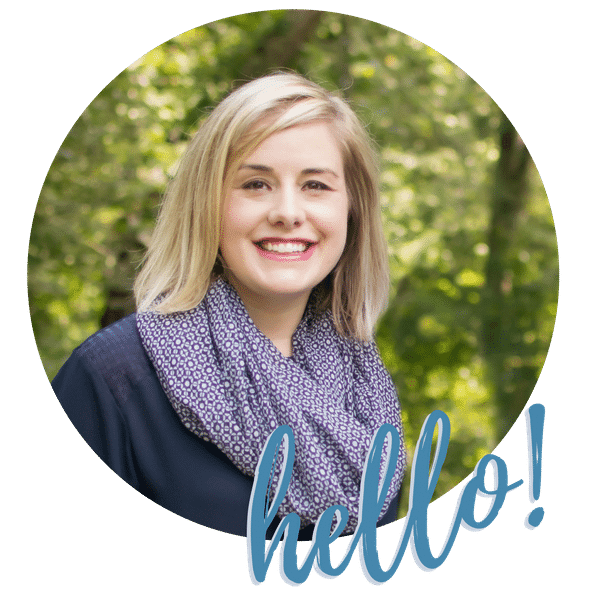 While I know that storage after the holidays can be a little hectic, I wanted to share some strategies you can think about now, not when you are in the middle of packing everything back up at the end of the season! Before we started organizing our holiday storage, I remember finding Christmas handtowels in our linen closet in July. At the end of the season, I’ stick them in there so that I wouldn’t forget about them next year. Of course, I always forgot about them when I needed them because they were tucked wayyy in the back. And they were taking up precious closet space! It was the same story for wreaths. I’d keep them in spots where I used them and then forgot what I actually hand. So, of course, I bought more. 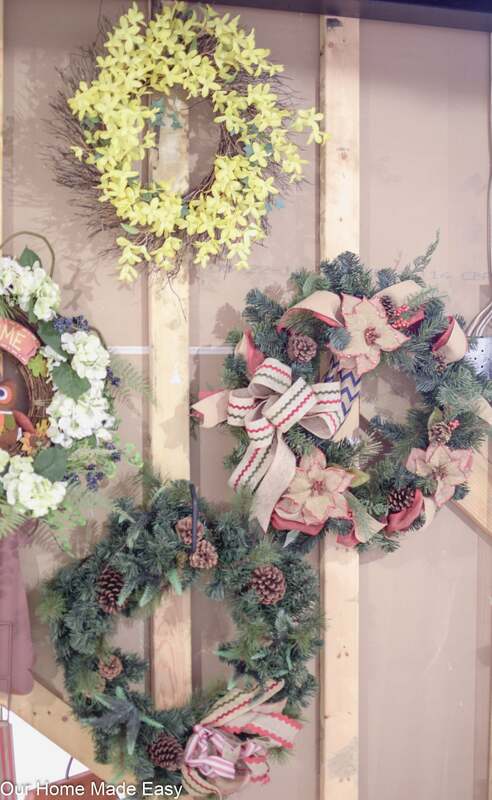 #WreathHoarder You could find wreaths in the garage, the living room closet, and the basement. Storing everything in one area doesn’t need expensive shelving systems. We built $70 storage shelving and they hold so many totes! You can avoid pulling out every tote & box when you’re looking for something in particular when you tape a simple label on the front of it! Choose to label by room or by items/collections. 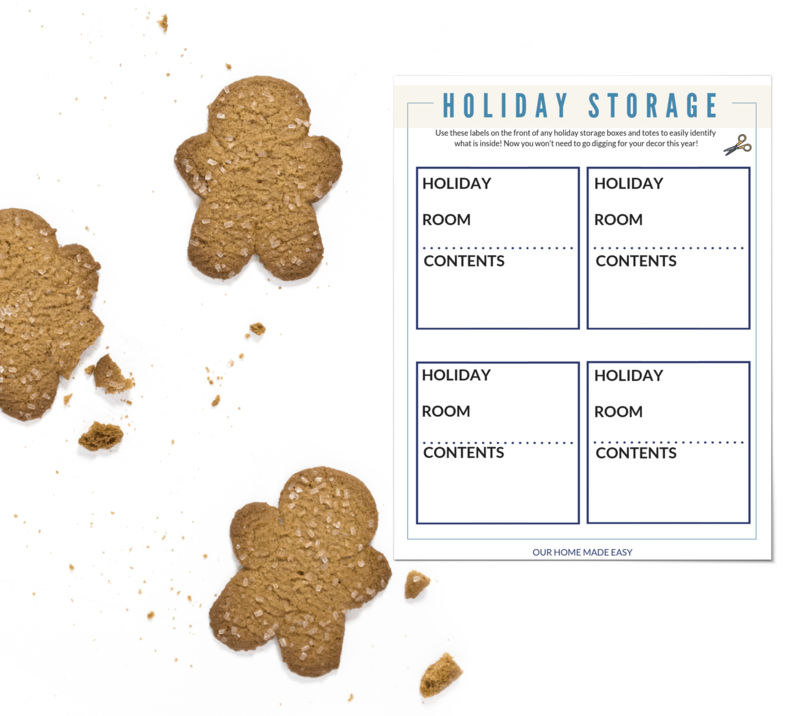 To get you started, I included a set of free holiday storage labels at the bottom of the post! Already dreading the gigantic unpacking session? I’m not a big fan of having totes & packaging strewn about for several days. I think committing to unpacking one tote a day for a room is much easier than opening a tote and trying to decorate several spaces at once. Not only do we label plastic decor totes, but we also label our ornament totes to make sure I unpack everything in the right order. I like to start by putting our sentimental/homemade ornaments on first, then filling in any open spots with cute bulbs from Target and bows. Everyone knows I love wreaths. But those wreaths need to go somewhere at the end of the season. To avoid crushing them, we hang them in the basement using bike holders! Not only can I quickly see what I have for the season, they are easy to hang up and take down. For our current wreath storage, I use both bike holders and utility hooks. You can find both at Lowe’s & Home Depot. Anything that makes organization no-fail, is a win in my book. Going down our basement stair wall there is a wall of wreaths. I couldn’t catch them all in one photo. 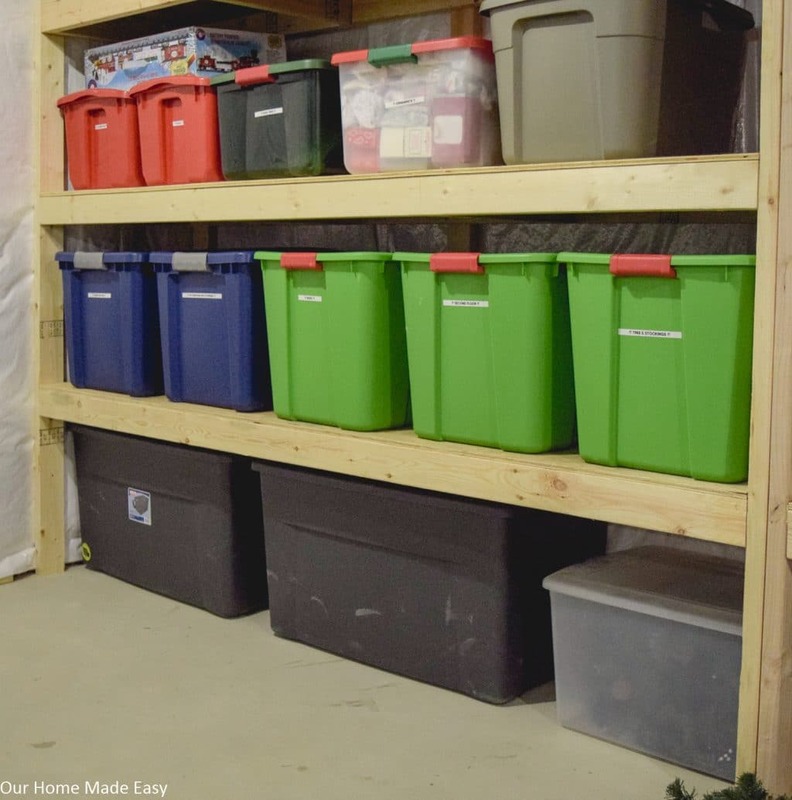 Avoid storage overwhelm by simply being choosy! If you haven’t used an item in 2 seasons, donate it to someone who will love it. 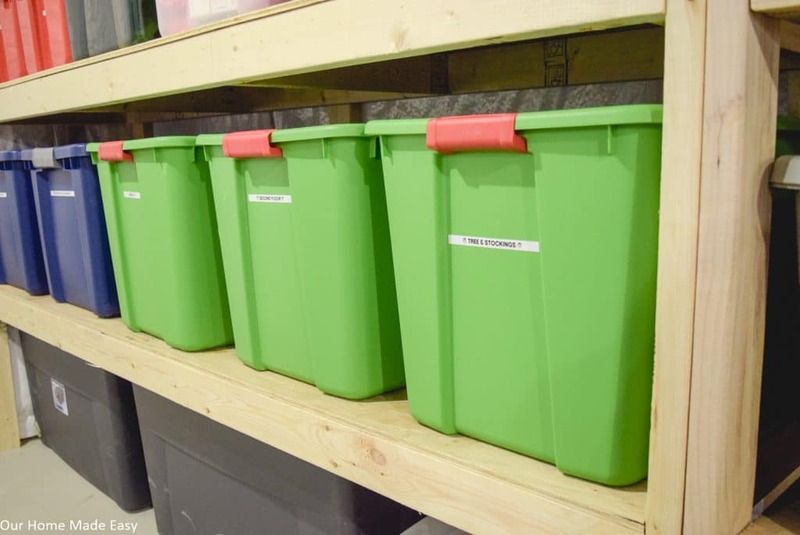 Not only are you able to pass it on to someone who will enjoy it, but you don’t need to buy extra totes and racking for things you won’t ever use. Be picky– and send the things you don’t love out the door! 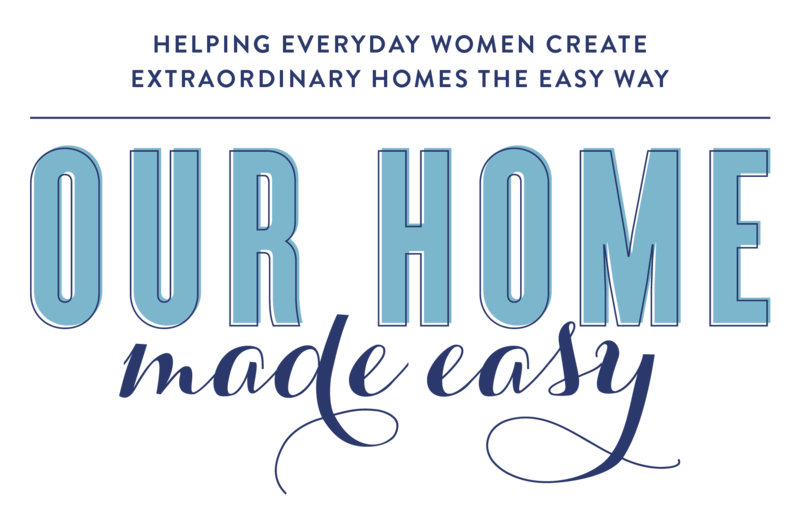 Need step by step decluttering help? Join the FREE 6 Week Decluttering Challenge here! Those are one piece of garland and Target Spot Lanterns! Wait, this is a post about holiday storage organization tips, why would I say avoid storing everything? 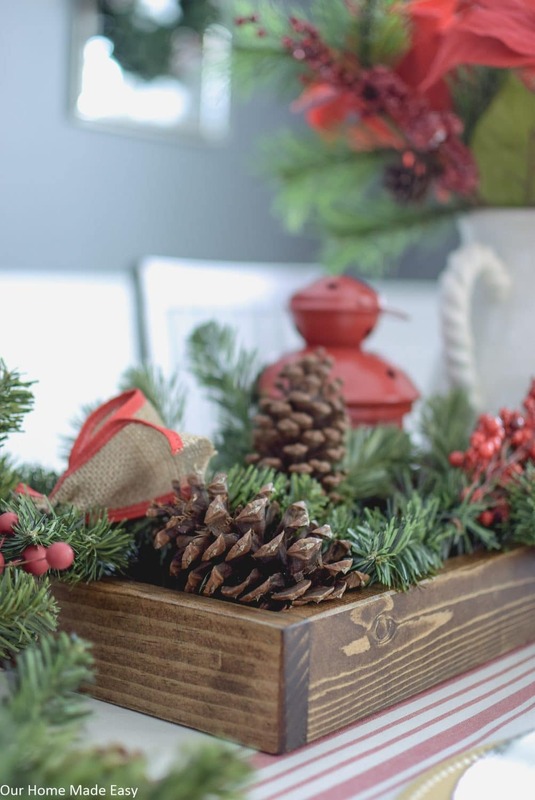 To avoid making holiday storage a chore, try to avoid changing out decor at every season. 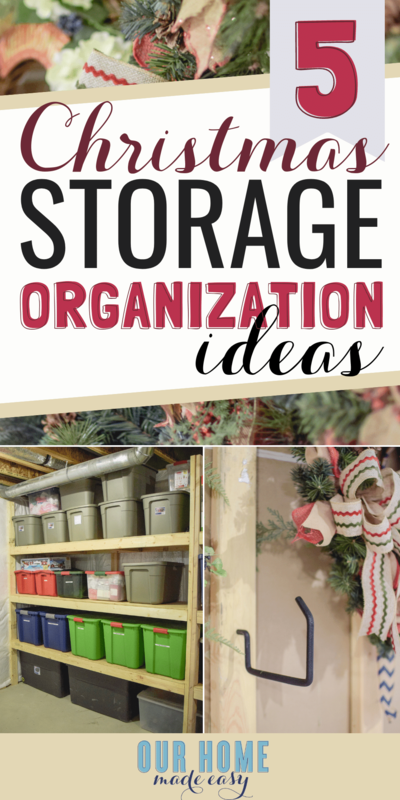 If you feel like holiday storage & organization is the something that absolutely sounds overwhelming, this will be the best trick for you. Keep a core set of neutral decor that works for about 75% of the year displayed in your home. Then you can add just a few pieces in each room (as little as as 2-3) to make it feel seasonal but without you spending weekends unpacking decor & packing it all back up. Stock up on warm textures like simple wreaths, neutral blankets, candle holders, and accents. Then fill in the rest with those few other items. It’s why I love DIY wood trays so much. They are instant decor that never needs to be stored away. This year, choose to enjoy your decor, without it feeling like a chore. Declutter what you don’t love, keep out the things that you can use all year, and label the rest! Next year will be the easiest one yet! 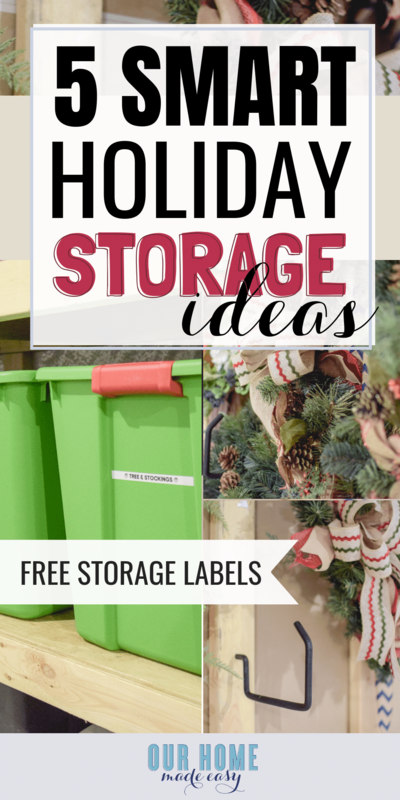 GET YOUR FREE STORAGE TOTE LABELS HERE!